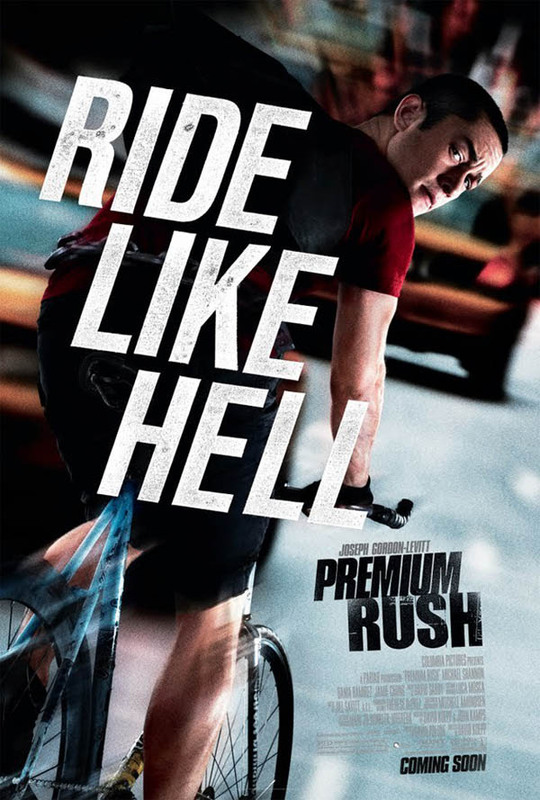 Tag line: "Ride Like Hell "
With movies like Brick, (500) Days of Summer, Inception, and The Dark Knight Rises, Joseph Gordon-Levitt successfully made the leap from child star to adult superstar, and while Premium Rush may be a step below some of his other films, it nonetheless helped solidify his position as one of Hollywood’s most talented leading men. Wilee (Gordon-Levitt) is New York City’s finest bike messenger, the guy you call when you need to get a package across town in a few hours or less. This is why Nima (Jamie Chung), the roommate of Wilee’s girlfriend Vanessa (Dania Ramirez), chose him to deliver a very important envelope for her, which must be dropped off at an address in Chinatown no later than 7 p.m. But what starts as a routine delivery soon turns dangerous when corrupt policeman Bobby Monday (Michael Shannon) tries to take the envelope away from him, leading to a high-speed pursuit through the busy streets of New York City, with Wilee doing everything he can to avoid the crooked cop and deliver Nima’s message without delay. 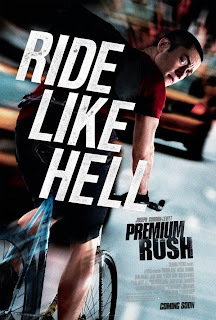 For the majority of its running time, Premium Rush focuses on the showdown between Wilee and Det. Monday, which leaves other supporting characters out in the cold. Ramirez does a fine job as Vanessa, Wilee’s estranged girlfriend, as does Wolé Parks, who plays Manny, a fellow bike messenger and Wilee’s main rival, both professionally and romantically (Manny has been trying to woo Vanessa away from him for quite some time). Unfortunately, the movie doesn’t delve as deeply into their characters as it could have, and as a result, what might have been an intriguing love triangle feels more like an afterthought (a scene where Manny helps Vanessa move some of her belongings, then makes a pass at her, goes absolutely nowhere). Like Gordon-Levitt, Michael Shannon has made waves recently with his strong performance in Take Shelter (he was also excellent as the manipulative band manager in 2010’s The Runaways). His turn as Det. Monday is effective, though he does ham it up a bit (like when he squares off against a pair of Asian thugs, beating one so badly that he actually kills him). But no matter: Premium Rush belongs to Joseph Gordon-Levitt, who handles the action scenes like a pro and oozes charisma whenever he’s on-screen. Premium Rush has other strengths as well. Director Koepp includes plenty of visual bells and whistles to keep things moving at a lively pace (I liked how the film would occasionally display an interactive map of the city, showing us the route each character will travel to get to that particular scene’s destination). Also, the bike sequences are positively electric; the tension runs high whenever Wilee’s racing down a busy street. These, along with the solid performance of Joseph Gordon-Levitt, make Premium Rush a movie that manages to rise above its own deficiencies.